MainAll NewsInside IsraelArchaeologists Discover High Priest's Bell? Archaeologists Discover High Priest's Bell? 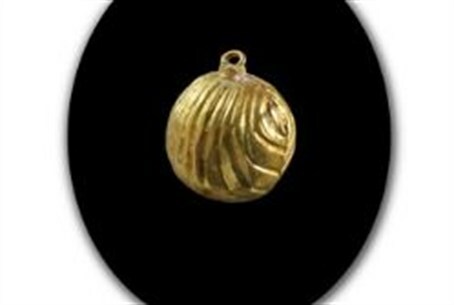 Archaeologists have discovered a rare gold bell during an excavation in the City of David National Park in Jerusalem. Archaeologists have discovered a rare gold bell with a small loop at its end. The finding was made during an archaeological excavation in the City of David National Park (near the walls of the Old City of Jerusalem) by the Israel Antiquities Authority in cooperation with the Israel Nature and Parks Authority and the Ir David Foundation. The directors of the excavation on behalf of the Antiquities Authority, archaeologists Eli Shukron and Professor Ronny Reich of Haifa University, said after the finding, “The bell looked as if it was sewn on the garment worn by a man of high authority in Jerusalem at the end of the Second Temple period. The excavation area, above the drain, is located in the main street of Jerusalem which rose from the Shiloah Pool in the City of David. In this street an interchange was built through which people entered the Temple Mount. The remains of this interchange are what is known today as Robinson’s Arch. Archaeologists believe that the eminent man walked the streets of Jerusalem in the area of Robinson’s Arch and lost the golden bell which fell off his outfit into the drain beneath the street. While it is unknown if the bell belonged to one of the high priests, archaeologists have not ruled out the possibility.